One of the greatest honors an attorney can receive, is one bestowed by her fellow members of the Bar. 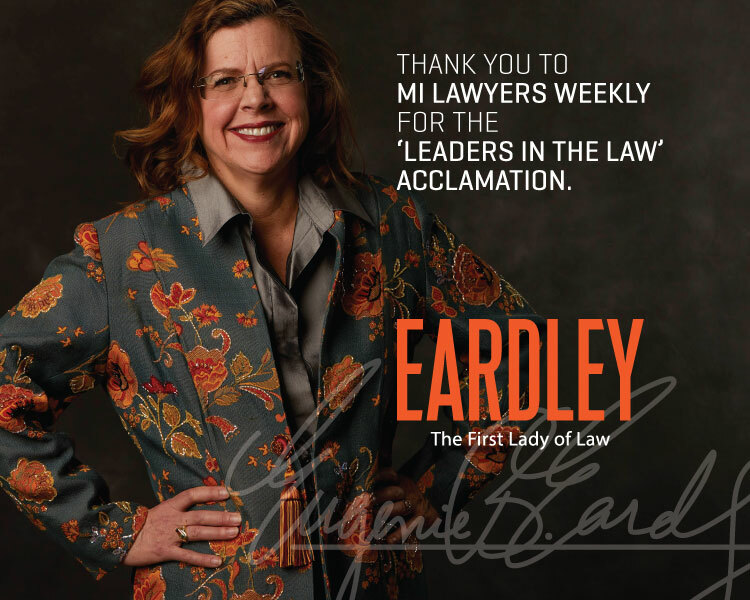 I’m appreciative and humbled to be an honoree at MI Lawyers Weekly’s 11th annual Leaders in the Law luncheon. At Eardley Law, we strive every day to bring justice to victims whose rights have been violated, and give a voice those who can’t be heard. It means so very much to us that this work is being noticed by our colleagues. Thank you.